What happens when we look at our city with fresh eyes? 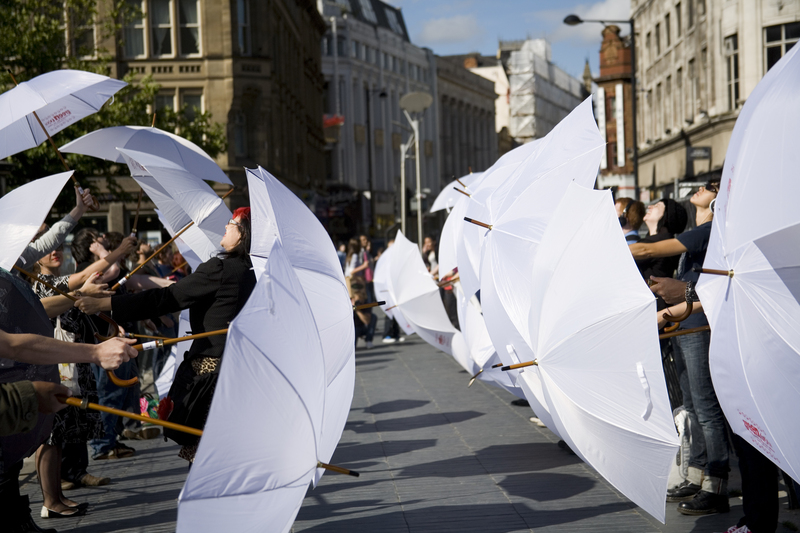 Join Me is a flutter of playful subversion, a temporary re-appropriation, a momentary re-definition right in the centre of Preston. It is the culmination of a week’s exploration from The Larks who, together with local collaborators, have been in residence at Derelict 2016, re-looking at Preston from the eyes of outsiders and from those of insiders. Join Me will encourage you to see Preston anew; to become re-enchanted with the everyday. Those interested in joining in further should drop in on The Larks in the week leading up to Join Me. More details here. The Larks combine the spectacle of theatre with the agency of play. Their work sees unexpected blends of gaming, interactivity and the theatrical.